We understand how difficult it can be if you or a family member have been arrested for a crime, both emotionally and financially. All too often individuals are charged with crimes that they did not commit or in the alternative are over-charged with crimes they did not commit. An individual is overcharged when they are either charged with multiple counts for activity involving the same criminal conduct or are charged with an offense that exceeds what the facts support. In any case, it is crucial to contact an attorney right away to discuss your rights and possible defenses. 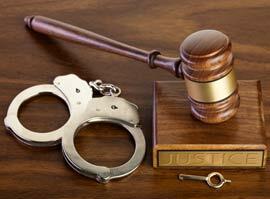 Theft Offenses - felony or misdemeanor charges of larceny, grand theft, shoplifting, and burglary. Drug Crimes - possession, distribution, cultivation, and manufacturing. Domestic Violence - both misdemeanor and felony charges, including spousal abuse and child endangerment. Violent Crimes - assault, battery, robbery, or weapons offenses. DUI - both felony and misdemeanor. Traffic Violations - including reckless driving or driving without a license.